It wasn’t a tarball or anything dangerous, but it made for some unsightly beaches and discolored bathing suits. Officials from the U.S. Army Corps of Engineers said a dredge boat working to replenish local beaches hit a submerged layer of peat that it then scooped up and sent to shore through a network of pipes. 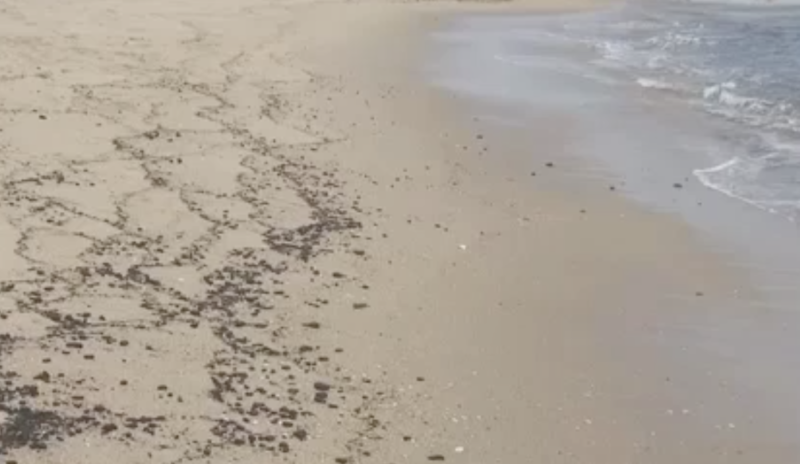 While harmless, the peat appeared as brown balls resembling tar and led to some put-off beachgoers Thursday. The situation has now been corrected. Crews spotted a darker material being pumped onshore during operations Thursday and immediately halted them, said Stephen Rochette, spokesman for the Philadelphia district of the Army Corps, which is in charge of the replenishment effort. The team initiated a “geotechnical investigation” to better understand the situation, and quickly determined the dark substance was peat. It appears the dredge hit a peat layer in the offshore borrow area. 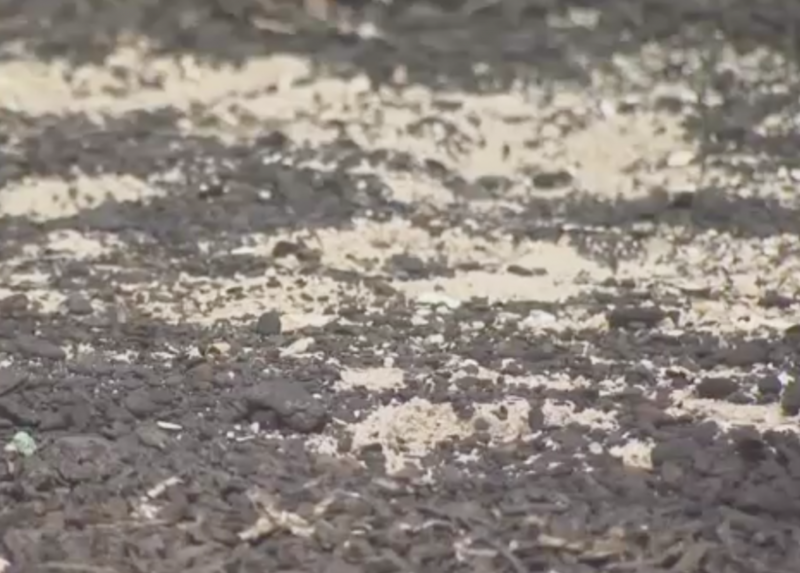 Peat is a naturally occurring material and is typically a combination of ancient soil and vegetative materials, Rochette said. “Though undesirable and a nuisance in a beachfill operation, they are sometimes encountered during the dredging process,” he said. While the borrow areas – the plots of ocean bottom where sand for the project is dredged – are “rigorously sampled during the planning of the project,” Rochette said, it is possible that a dredge can encounter a layer of peat.These peat layers are common along the coast of New Jersey, he added. The dredge boat EW Ellefson resumed dredging operations Friday and the team observed typical sand being discharged from the pipe. Toms River Township raked the beach and was able to remove the vast majority of the peat material from the beach. “The project team will continue to monitor the material being pumped onto the beach as always,” Rochette said. Thus far, USACE has successfully pumped more than 2 million cubic yards of sand onto the beaches of Mantoloking and Brick Township as part of the project. According to the Army Corps, the coastal geology of New Jersey is extremely complex, influenced over the millennia by sea level rise and fall; movement of inlets, and geologic deposition processes. The sand borrow area identification process includes sampling at multiple locations over a period of years and close coordination with a multitude of state and federal regulatory agencies. This is a scientific approach, however due to the extremely complex geology, there are sometimes pockets of soil materials other than sand such as silt, clay, gravel and peat.